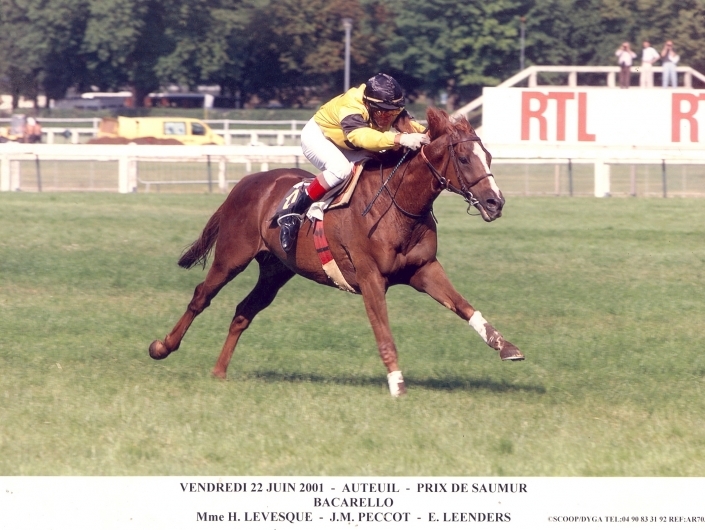 Small, chestnut, ordinary looking horse, but a great race-horse (7 wins at Auteuil)! He provided us with very strong emotions. Every morning on the training tracks, this boiling horse would carry away the strongest riders. He was leading his races from start to finish and was so tough that he made all his fellow horses sick. He was outstanding for us as he was so attractive. He is now a happy “pensioner” in Normandy.